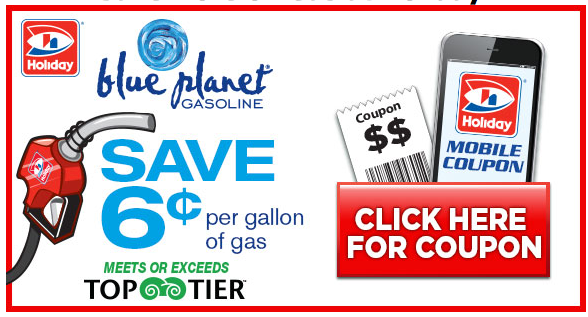 You can fill up at Holiday and save $.06 per gallon with this printable Holiday Gas Coupon. It’s valid for up to 20 gallons and expires 4/17/2019. Looking for someplace to drive with that full tank of gas? Check out all the fun Minnesota attractions we have featured here on ThriftyMinnesota.com. So-called “printable” Holiday gas coupon did NOT print! I tried it right now to double-check and it is printing. Make sure you don’t have a pop-up blocker on in your browser.